Due to the large amount of counterfeit football shirts and football memorabilia that is available around stadiums on a match day, Nike have introduced a new scheme with Inter Milan to attempt to reduce the amount of knock-off shirts being sold. Nike have begun producing a special variety of the Inter Milan home shirt that they themselves sell exclusively in Italy on matchdays which differ from the top-spec Inter Milan shirts in a number of ways – the most important being cost! The idea being that people who would normally buy a ‘fake’ shirt from someone outside the grounds now have the choice to spend a similar amount of money on an official Nike & Inter Milan product. So, baring in mind that these are sold only in Italy, imagine Nike’s surprise when they found out that a sports shop in Scotland had begun selling them! 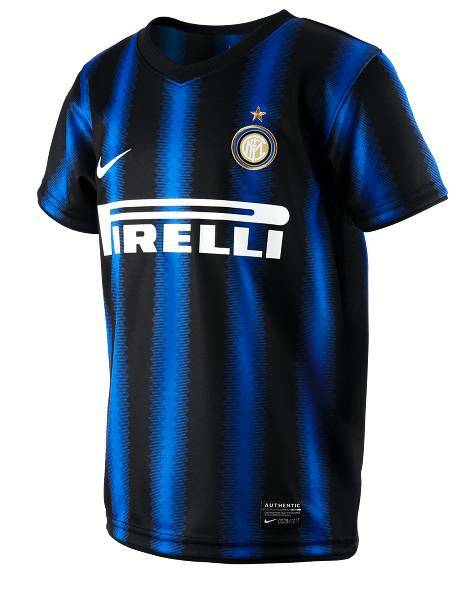 The Glasgow branch of Sports Direct (Yep – the one owned by Newcastle United supremo Mike Ashley) was found to be selling these ‘low-quality’ versions of the Inter Milan home shirt for £5 less than what other sports stores were charging for the real deal. Because of the large number of counterfeit jerseys on sale around the grounds in Italy, we produce a lower price-point replica that doesn’t have the same technical specifications as the ones the players wear for clubs we sponsor there. “It appears a quantity of these Inter Milan replicas has found its way to Sports Direct. We shall be looking internally at how this happened. 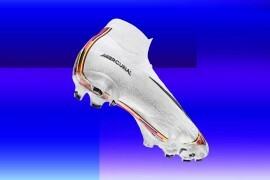 “We want to make it clear there is no question of Sports Direct selling counterfeit products. They lack the blending pattern between the black and blue stripes and are smoother to the touch. The proper tops are made from recycled plastic bottles; the material is coarser than classic football kit material, whereas the Italian version is smooth polyester. The labelling inside the shirts differs between the UK and Italian versions – the size, wash instructions etc on the proper versions are a transfer, whereas the other variety have a sewn-on label. The UK tops were made in Morocco, whereas Sports Direct’s were made in China. 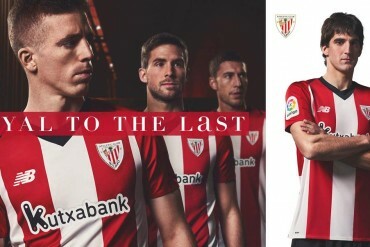 Another difference between the tops lies in Nike’s placing of the club nickname, on the inside of the strip, behind the badge. Both top-spec “Nerazzurri” meaning “black and blues”. The Sports Direct tops do not. Nike have now recalled the strips which have turned up in Sports Direct, meaning if you think you’ve purchased a dodgy top, you can get your money back. Have you bought a suspect jersey? 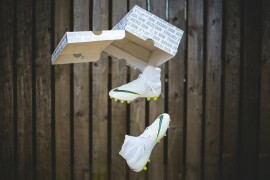 Let us know in the comments, or Tweet us a picture @Footy_Boots! is that picture of the real one then? can we have a picture of the fake one please? We’re working on it Baz, we want to see one too – but there’s not a lot of info on them on the ‘net! Maybe if Nike and adidas sold authentic kits at a reasonable price, like $40 or 26 pounds, people would always go for the authentic and not knockoffs. 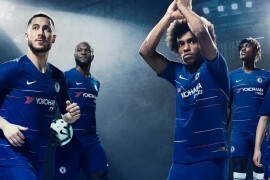 The kits are way too expensive now for what you are getting. I’m a bit confused by this article… First it states that Nike, themselves, make shirts that are “lower quality” and sell those exact shirts in Italy. Then it states that Nike found out that those exact shirts are being sold at Sports Direct but from the description of the shirts, sounds like they are nothing alike the ones being sold by Nike in Italy. The UK tops were made in Morocco, whereas Sports Directâ€™s were made in China, Nikeâ€™s placing of the club nickname, on the inside of the strip, behind the badge, and the Sports Direct tops do not have Nerazzurri on them. So from what I can gather, these ARE NOT the shirts that are being sold by Nike in Italy that have been transported to Glasgow but are completely different (and completely fake) shirts being sold under false pretenses, correct? VB, Nike is selling knockoffs in Italy. Other unrelated knockoffs is being sold in Glasgow. 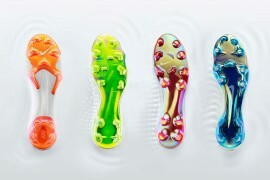 Nike wants to recall the ones in Glasgow. Only place you should get knockoffs is in Italy. And only Nike get the money for the knockoffs. If I bought a dodgy shirt football shirt before, off course I did. I know people that never had a legit football shirt, this Nike Probe concept is a really nice idea it would go down really well here in Brazil. Not many people have 70 quid (200 reais) to pay for an official Brazil shirt. Note the difference between the “home” and “stadium” shirts. Is football heading for a fall ? The poorest sectors of society giving their meagre money to bloated rich mega-clubs that bear little in common with the founding principles of the sport. The naĂŻve loyalty of common folk devoting so much of what they’ve barely got to cynical clubs for whom the game is now a secondary consideration to managing their vast fortunes just like international banks do. I quit watching ‘premier’ or ‘bling’ football, I cannot take it seriously. I find myself ignoring the match & observing instead the poor mugs paying all their money to watch players with no class disgracing themselves on & off the pitch. Same thing week after week.